This entry was posted in Life, Photography and tagged Cooking, Food, Photography, postaday, postaweek, postaweek2012, Thankful, Thanksgiving, Weekly Photo Challenge. Bookmark the permalink. 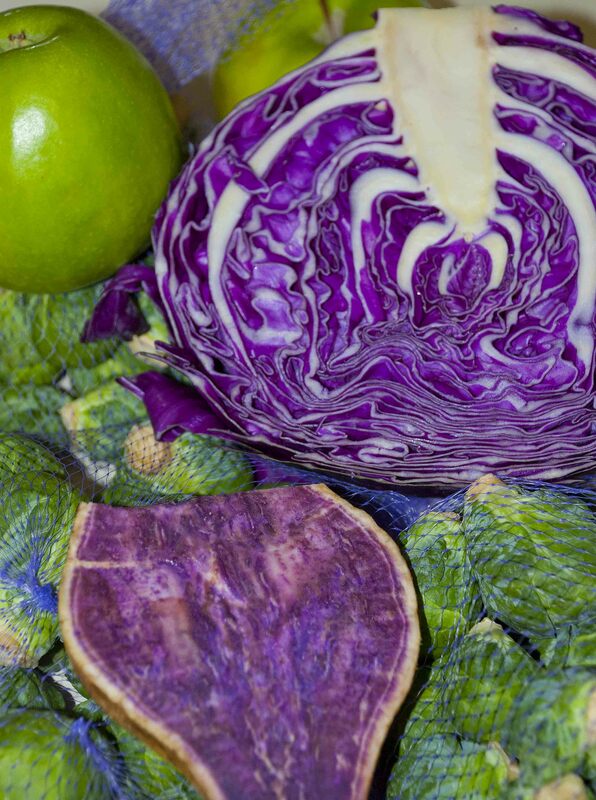 Great photos, really enjoyed the colours – especially those purple vegetables – what kind are they exactly?! Hee hee! 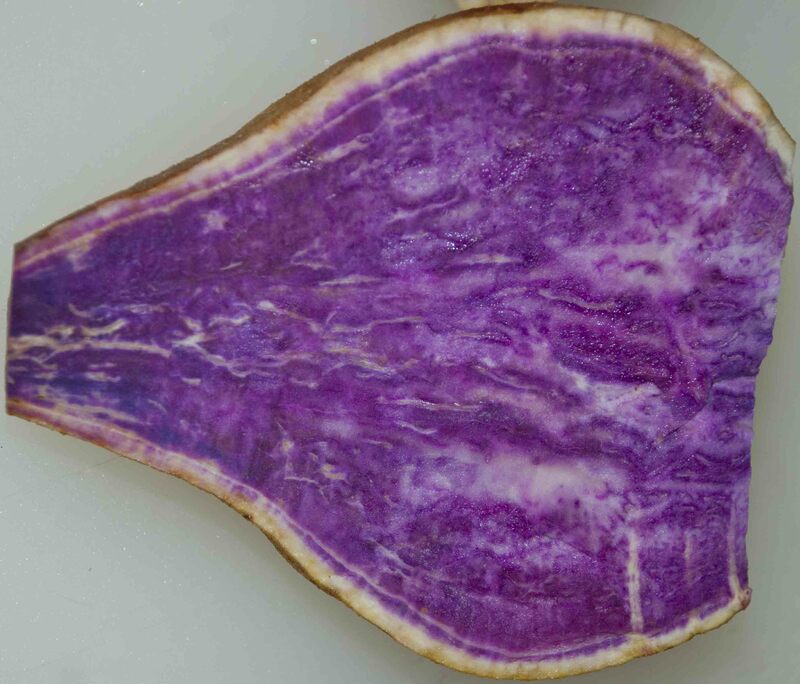 They are cabbage, and—get this—Okinawan sweet potatoes! 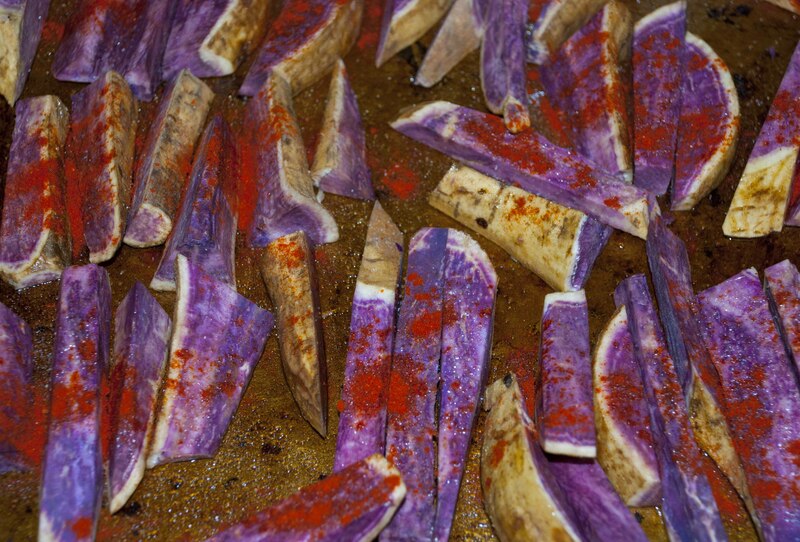 They are naturally purple, and taste pretty much like regular sweet potatoes. I fell in love with them while shopping because of the color… and when we were preparing dinner, by chance the sweet potatoes ended up next to the cabbage and brussels sprouts… an explosion of green and purple! The turkey looks really good. Here in Germany there is not the Thanksgiving feast in the way in America. We traditionally eat a Christmas goose. That surely was one yummy colorful feast – everything looks so perfect, all caramelized and brown. It was a yummy feast indeed :-) Thanks, Shaanthz! You’re making me feel hungry! wonderful pictures, I too would like to know which vegetables are those. Bests! See above–cabbage and Okinawan purple sweet potatoes. Oh, and Brussels sprouts! As pointed out above, though, goose is the way to go :-) Thanks, Dina! Colorful photos. Love all the small details here! Thank you! 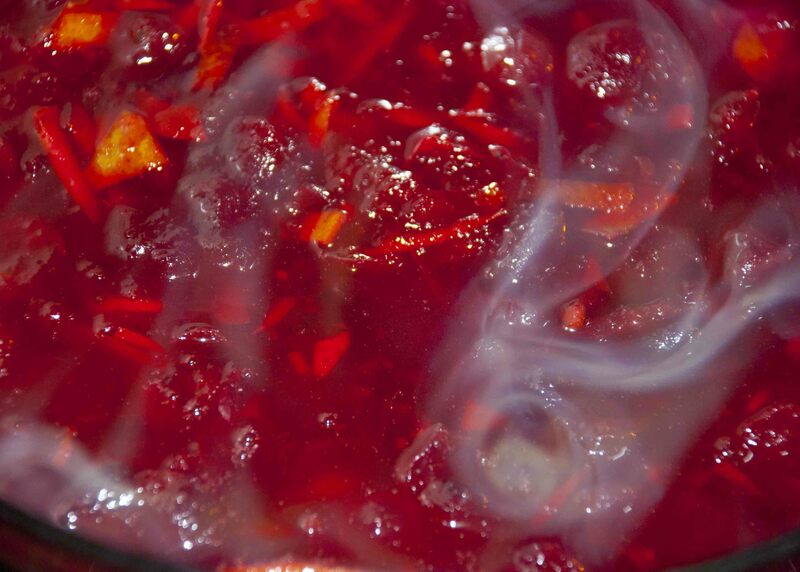 I thought Vlad was nuts when he kept interrupting the cooking to take pictures… now I see why…. 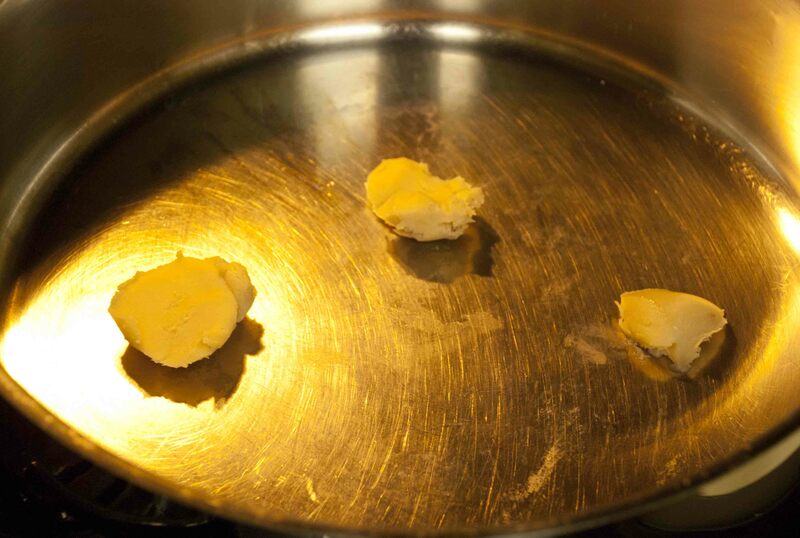 Oh yes, you should start cooking! It took me so many years to finally enjoy it–but it’s worth the effort. And there are so many wonderful Scandianvian dishes–I’m planning to prepare fishballs for our friend Runar’s lutefisk party this winter! Sandy really put things in a different perspective. When we can have a roof over our head and food on the table – those are enough for us to be thankful. As usual, beautiful pictures. Yes, I think the perspective has changed for many in NYC… Thanks! All your brassicas are belong to me! :D Much to be thankful for. Hope you both had a great holiday! What a colorful Thanksgiving you had! The colors are really absolutely gorgeous, especially those purples and yellows and reds. I expect the food was as complementary as the colors. Looks like you had a great meal. I love Brussel sprouts! The colour of tous photos are very good :) and i leke the first photo so much. What name it is? 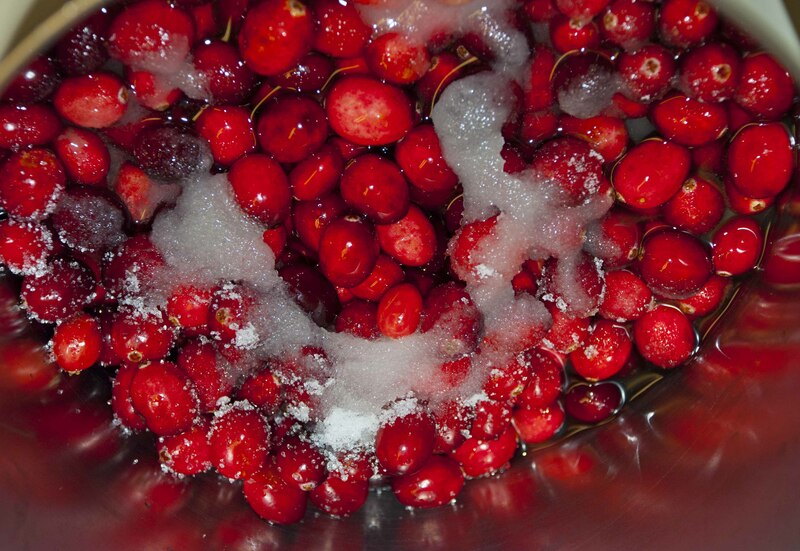 Great shots of the holiday meal prep. Love the colors on display. Nicely done! Great photos Vladimir with such vivid colors! Your food looks beautiful! Lovely pictures and very tempting food!! :) Thanks for the like on my blog post!! It’s amazing what can be done with some of the “other” text characters! Have forgotten what I intended to say…you’ve made me feel so hungry. 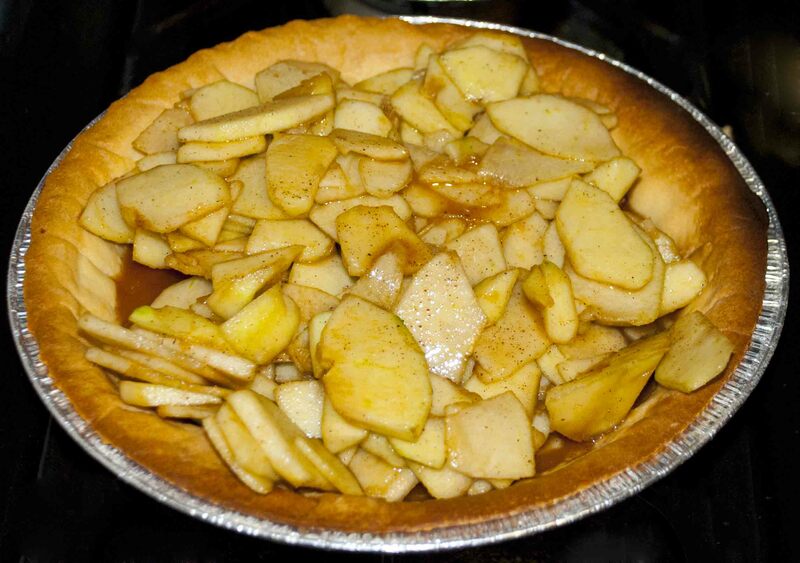 Those lovely pictures – I can smell Johna’s cooking…I’m drooling! I’m ordering a doggie bag from you now, for next year, please. 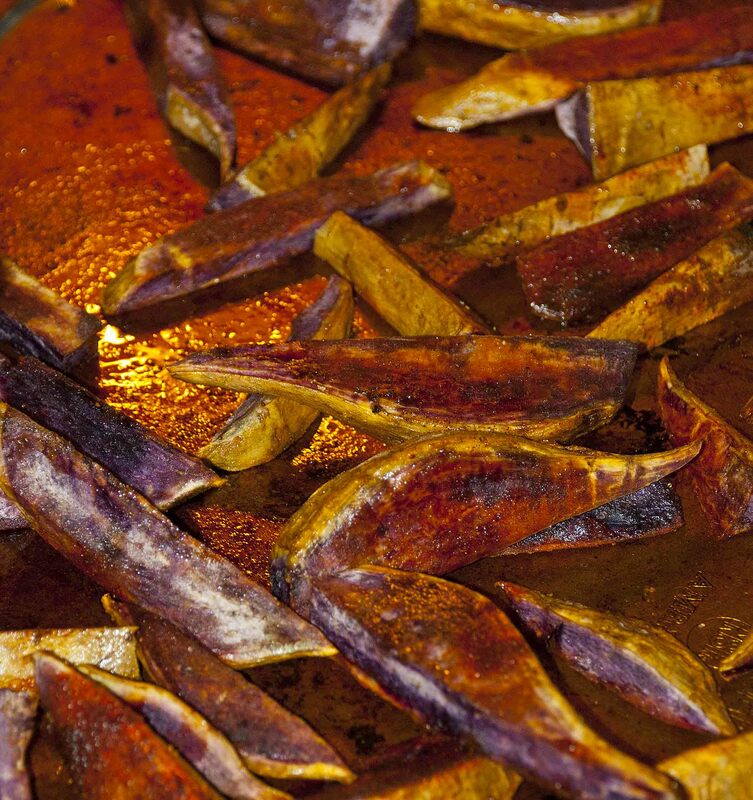 Omnomnom, those sweet potatoes are wonderful, I am on a mission to find them here on the west coast now! 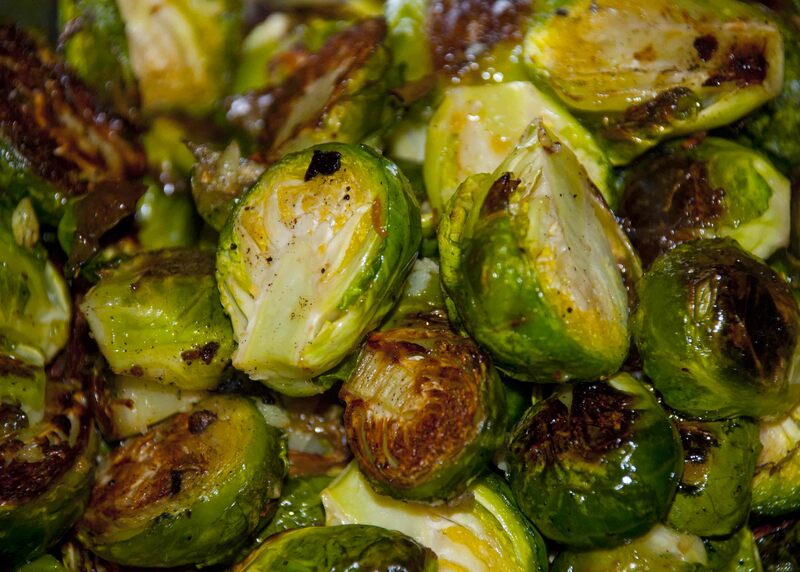 And I agree, roasted brussell sprouts are unbeatable. It all looks so good! Thanks so much for this award, Nizy—we really appreciate it! Lovely colours, particularly of the raw ingredients!! 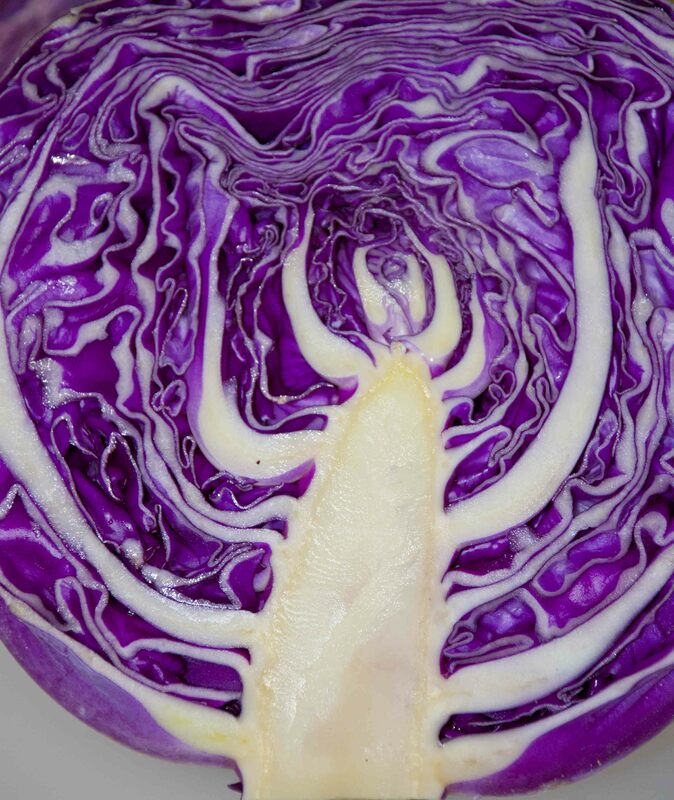 Great colours and patterns, especially in the first couple of images: is the purple and white some form of cabbage..? That turkey looks so good! Great photos, and i particularly love the purple and green together!